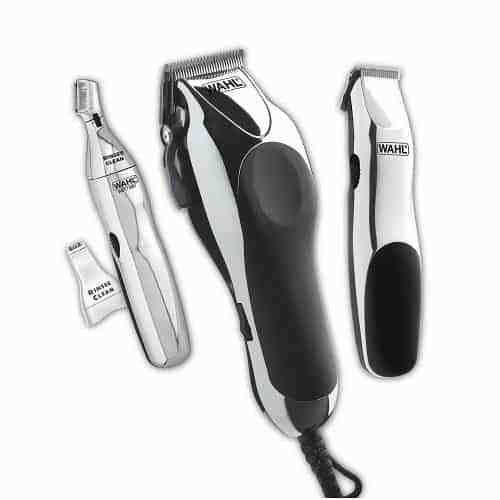 Whether for you, your family, or even your pets, you should only rely on the best clippers. We tested dozens of models and found the 16 top clippers. 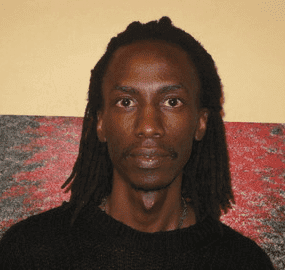 Pascal Magero is a Civil Engineer by profession and a writer by passion. He combines these skills to come up with the most informative reviews about a wide range of products. If you pay a barber or hairstylist a visit often, you know the sense of paranoia that comes with letting someone loose on your hair. 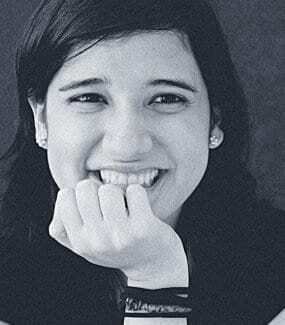 It can be sheer horror, right? This is mostly because we’ve all had experiences where a visit to the stylist ends up tragically with a look we never imagined on ourselves. Some of these situations are so bad people end up buying their own clippers to do the job at home. In any job, you need the right tools if you are going to get some great results, and the same rules apply to doing your own haircut. Choosing the best clippers and understanding how to use them allows you to put any style on your head in the comfort and privacy of your home. 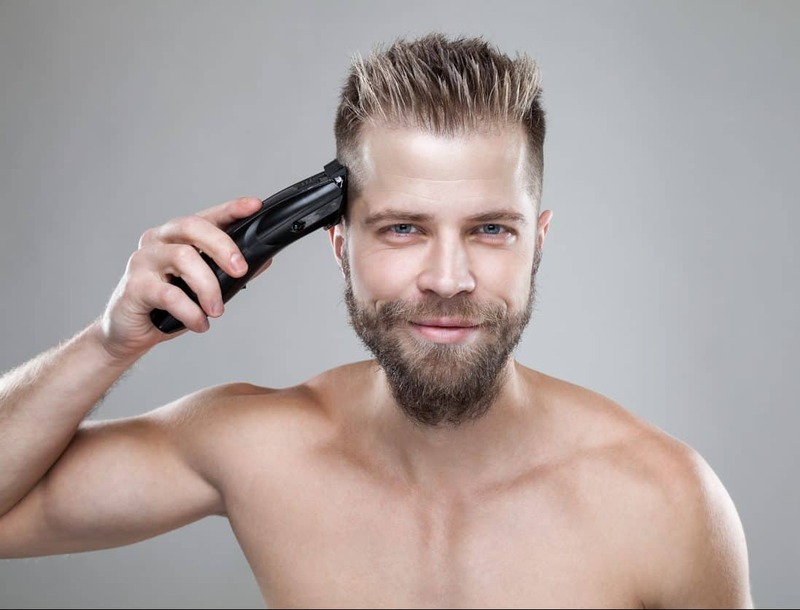 Which Type Of Hair Clipper Is Right For You? For the most professional clippers, you could end up paying hundreds of dollars, but it will come with a set of additional accessories. However, if you’re a hairstylist, money shouldn’t be as large of a factor to you when choosing the best clippers since they are such an important tool to your job. If you keep short hair and would like a clipper for home use, going for a simple, but good quality model will be satisfying. If you use the clipper for different styles and long, thick, or different types of hair, you better spend a little more to ensure a strong enough clipper. The best clippers have the option of setting the desired length via an attachment or on-clipper setting and then, it’s just a matter of running the machine in the area that needs clipping. In order to end up with the most practical clipper for you, your loved ones, or your pet, there are a few things you should know even before beginning your search. If you have experience using hair-clippers, paying a bit more for a high-quality machine that will last longer and make quality cuts is a good idea. However, if you have no idea what you’re doing you can start with a mid-range clipper model that has the features you need. Later, you can upgrade to a more expensive model based on the features you want. The best clippers come with various blades, comb attachments, and guides that allow users to cut hair to different lengths. The attachments should be easy to mount and remove. The comb you choose will determine the length of hair that will be cut, with most clippers able to cut between 4-25mm of hair. Some can cut up to 43mm. If you can adjust the length of the blade on your clippers, it’s always a good idea to start with the lowest level before attaching the combs, or else, you will not achieve the hair length indicated on the comb. Who is going to be clipped? If you intend to cut curly, thick, or long adult hair, the best option is to go for a powerful clipper that won’t get stuck. If you’re cutting your children’s hair, then a small model that can run on batteries will suffice, just in case you want to take the mess outside. If you have a pet that needs to be groomed often, buying a pet clipper can save you a lot of time and money. Choose the clippers with the best reviews of being quiet and without any vibrations. You do not want to scare your pet and turn this into an ugly scene. 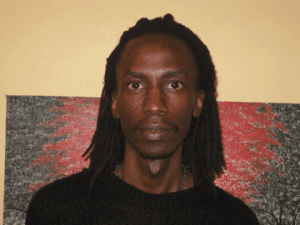 When cutting your own hair, a light clipper, preferably with a swiveling head will make your job really easy to reach the sides and back of your head. The power of a hair clipper depends on the type of motor installed. Cheap models usually sport weaker motors compared to more expensive ones. Some use linear motor technology whereby the motor transmits power to the blade without any friction. In such clippers, even weak batteries can still provide enough force to go through thick hair. To pick the perfect clippers, think carefully about the styles you want to create now and in future. To cut and style different hair lengths, most products come with a choice of combs, guards, and other attachments. But some also allow you to adjust blade angles. This is useful if you want to maintain a uniform length across your whole head. Some hair clippers have built-in settings for adjusting the length of the blades. Most will have a lever mechanism that can adjust between 0.5 and 2mm in every step. Great hair clippers will come with a set of brushes and oils. Hair will definitely get between the blades and in the cutting head over time and can cause the blades to separate if left uncleaned. Make it a habit to remove the cutting head after each use and brush it to remove any hairs. Also, remember to oil the blades before first use and regularly after that to increase your clippers longevity. 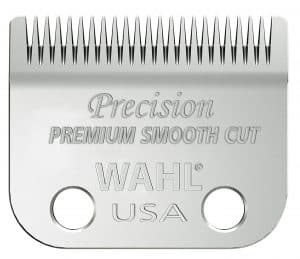 The Wahl Color Pro is made in the USA and lives up to its reputation for being a complete home clipping tool. It comes with a complete set of color-coded combs with a reference guide right on the side of the clipper itself. After establishing which combs you use most, all you will have to do is match the right one to the numbers printed on the side. This makes it really easy to match the correct hair comb to the setting on the machine to achieve the desired lengths. Inside, it’s run by a powerful heavy-duty Wahl motor that produces enough power for the self-sharpening high-carbon steel blades which are able to slice through most hair types. Not once did this clipper jam when we tested it. Even when going through thick hair. When cutting beards, the machine is a little awkward due to the large blades but it gets the job done pretty well. The kit includes ten colored guide combs, a blade guard, a barber comb, a styling comb, a cleaning brush, lubricating oil, and an English/Spanish styling manual. It comes with a strong storage case that fits everything neatly inside. Wahl’s 5-star Balding clipper is a powerful grooming machine that fits perfectly in the hand and works smoothly to achieve clean cuts that barbers and stylists often look out for. The packaging includes two combs, three trimming attachments, a hair clipper, charging base, a cleaning brush, oil, instructions, an 8-foot long charging cord, and a red blade guard. Even though it’s made of plastic, the 5-Star is still sturdy and compact with a visually appealing design. We found the smooth steel base and rounded cutting attachments very useful for maintaining a smooth cut and, overall, the machine is quieter than most. 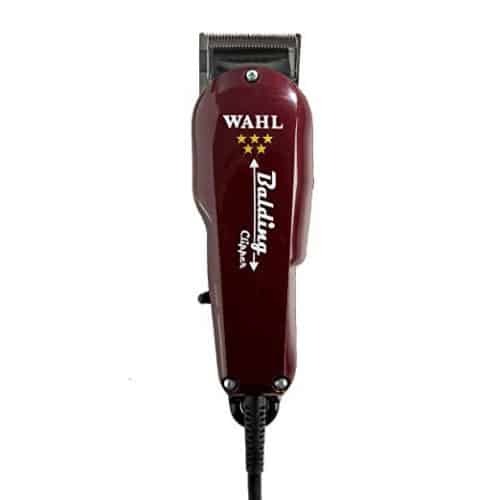 The powerful electromagnetic motor installed in Wahl’s 5-Star clipper packs a lot of power and stays cool with absolutely no snagging or jamming even after running consistently for 45 minutes. They can cut all hair types, though it is a little difficult for facial hair due to the rather large blade sizes. 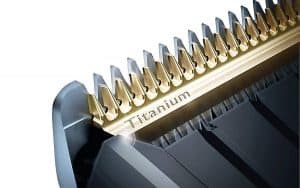 The professional, German-milled titanium blades do not come pre-adjusted; therefore, if you run your finger along the edge, you might feel the top blade sticking out. 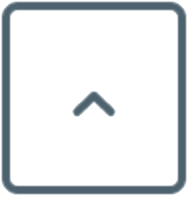 Some users have reported cuts due to this. To properly adjust them, there are two adjustment screws on the machine you can use to move the stationary bottom blade upwards. Your skin should never touch the upper moving blade. If you are still slicing your scalp, ensure you are holding this machine at the right angle. The Oster Classic 76 clipper is a sleek, compact clipper designed ergonomically with a durable and textured break-resistant housing that provides easy grip. This machine is built for heavy-duty use and hence feels a little heavy, thanks to the powerful, single speed universal motor that can cut through any type of hair. This makes it a great choice for barbers and stylists. The Oster Classic 76 can also cut through dry or wet hair as well as textured hair. The kit comes with detachable blades from size 000 to size 1, a 9-foot power cord, lubricating oil, clipper grease, cleaning brush, blade guards. This clipper has built-in metal guards that do not pull your hair or cut your scalp. Since the guard is not adjustable, we recommend buying a set of clip-on guards from Oster. 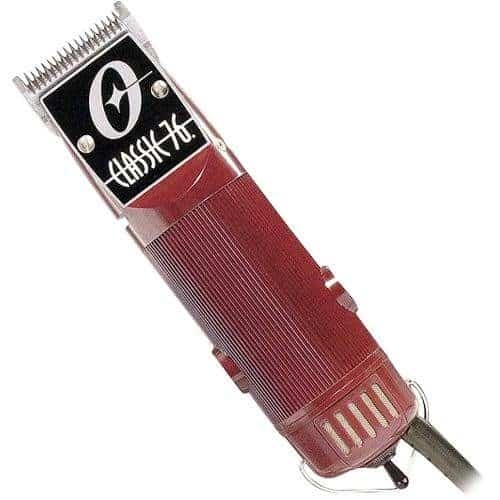 We were able to comfortably trim thick hair for over an hour, the only issue being that the Oster Classic 76 is a bit huge and starts heating after long use. Press the little ball bearing on the side of the machine with your fingernails before first use and occasionally after that to prevent internal friction. The Wahl Elite Pro Clipper feels a little heavy and the design is not well-contoured to sit perfectly unless you have large hands. But, one of its most striking features we found was the Secure-Fit line of guards it comes with. The set of guards on their own will cost you a clean $35. The shortest guard is marked as no. ½ which gives you a cut length of 1/16”, much shorter than what you will find in most clippers and great for trimming beards and facial hair. Each increment in the adjustable tape lever represents a 1/16” with a maximum length of 1 inch. 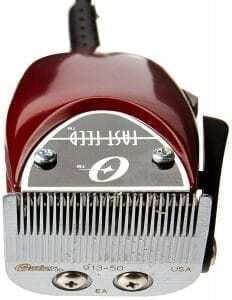 This clipper is installed with self-sharpening precision blades which are more forgiving compared to surgical/fade blades that most barbers would opt for. 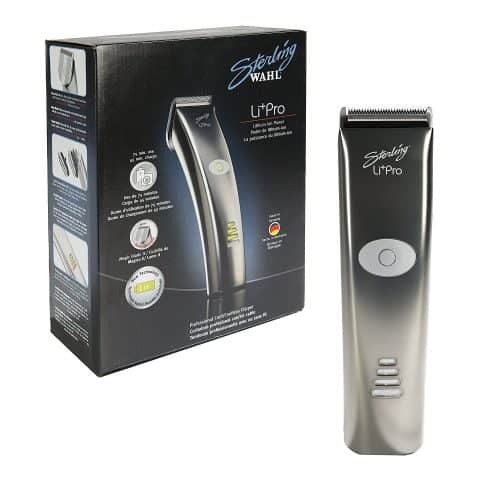 Inside, it has a powerful electromagnetic motor that is 15% more powerful than the normal Wahl’s Powerdrive premium brand which is able to power the blades to cut all hair types smoothly with little effort. 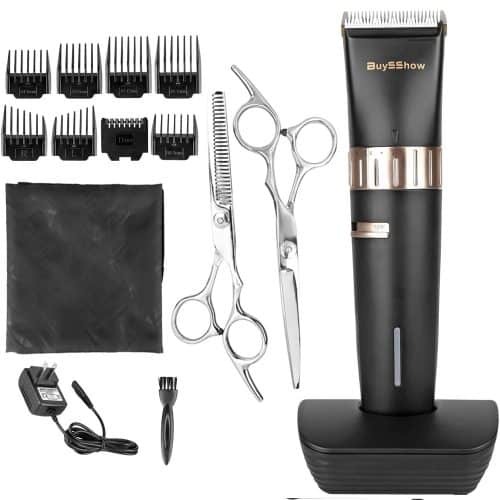 The kit also includes a barber comb, scissors, a cape, an apron, a power cord, a set of ten comb guides, lubrication oil, and a carrying/storage case. 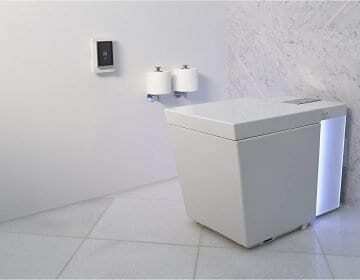 After switching it on, the clipper may make a lot of noise depending on whether the voltage setting is on low. The adjustment screw on the side of the clipper seemed to sort out the issue pretty well, however, the Wahl Elite Pro Clipper still has a lot of vibrations compared to most other clippers in the range. We loved the carrying case. The case in which it comes in is solid and keeps everything in place very well. As long as you keep the blades oiled and the motor clean, this clipper should last you for many years. The Oster Fast Feed clipper is lightweight and comes with a textured housing which provides an easy grip. It features a powerful yet quiet pivot motor that will not scare your pet or child away. We noticed that this clipper starts heating after about half an hour of usage, and even so, it only gets warm, not hot. The low RPM/high-torque motor ensures that this machine does not jam or pull hair regardless of its thickness. We found the vibrations are minimal compared to magnetic motors. The Oster Fast Feed can also trim thick beards and other facial hairs quite well. However, keep in mind the comb guides are sold separately. The Super Taper II clipper is a professional grade clipper with a minimal design mainly focused on performance and durability. You’ll notice this the first time it arrives in a see-through plastic casing without a storage case and with only the necessary accessories. Including eight attachment comb cutting guides that range between 1/8” and 1”, a brush, lubricating oil, a red blade guard, a manual and an 8-foot chemical resistant cord. The clipper is powered by a v5000 electromagnetic motor which delivers enough power to the blades to smoothly to cut the toughest hair while making very little noise. They perform well as a beard trimmer and even better as a hair cutter. The combs are color coded which makes it really easy to pick the right size. Snapping them on and off is also a piece of cake. 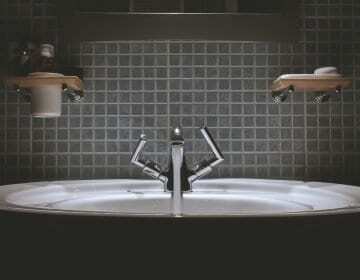 The switch is placed conveniently for easy on/off flicks. If you’re concerned about weight, we’d say this pair of clippers is medium weight; not too heavy, and not too light. One of the issues with this clipper is the taper lever does not look as sturdy and durable as it should if the machine is to be put under a lot of use, but this seems like a minor problem. The machine also gets warm by the time you are done with a long haircut but not so warm that you cannot use. 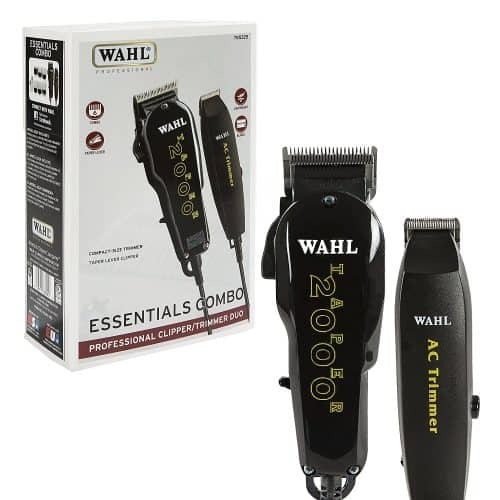 The 24-piece Wahl Chrome Pro hair clipper is made of attractive, quality materials and has very little vibrations compared to other models we tried. This clipper is a bit heavy but it has a really good grip while handling, making it easy to control even when trimming beards. It comes with 24 additional attachments including 10 adjustable guide combs, brushes, cleaning oil, and other tools you’ll find useful. It clips with razor-like precision to achieve a look that everyone will believe was from a talented stylist. It works perfectly for both thick and thin hair and is also great for a multi-layer haircut. The clipper features high-carbon steel blades that are permanently aligned, meaning you will not have any issues trying to make the correct adjustments. For its power, the high-speed PowerDrive motor is also fairly quiet and can easily cut through thick hair. 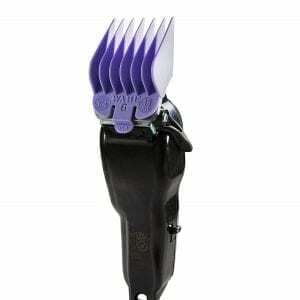 The sliding-thumb operated switch makes it easy to adjust the combs to the proper hair length. The zippered storage pouch that comes with the kit is also a plus, though it could have been bigger and compartmentalized since you have to cram everything inside. The Philips Norelco hair clipper is very light and fitted with what’s known as DualCut technology which is supposed to perform two times faster than other models in the same range. Even though it doesn’t look very sturdy, this tool will cut through most hair types like child’s play, with a turbo power button that enhances the cutting speed in case you need more speed and torque. However, when it comes to really thick hair, even the turbo will not be able to get the job done as well as the heavy-duty models out there. Also, when cutting short hair, the hair tended to get stuck on the blade. We had to brush it off every so often to avoid jamming. The lithium-ion rechargeable batteries on the Philips Norelco take only an hour to charge, after which they can run for two hours straight. For longer use, you can use the machine while plugged in. This clipper provides a length adjustment mechanism with 23 built-in settings ranging between 1-23mm with precisely 1mm between each length. For a closer shave of 0.5mm, all you need to do is remove the comb. It features self-sharpening and washable titanium blades that are easy to clean and do not rust even when washed. 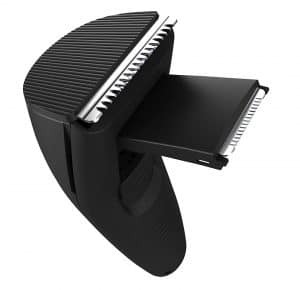 The Wahl Home Barber Clipper is a three-in-one machine that comes with a multi-cut clipper, a personal trimmer with two interchangeable heads, and a cordless touch-up trimmer. The clipper is powerful yet amazingly silent. 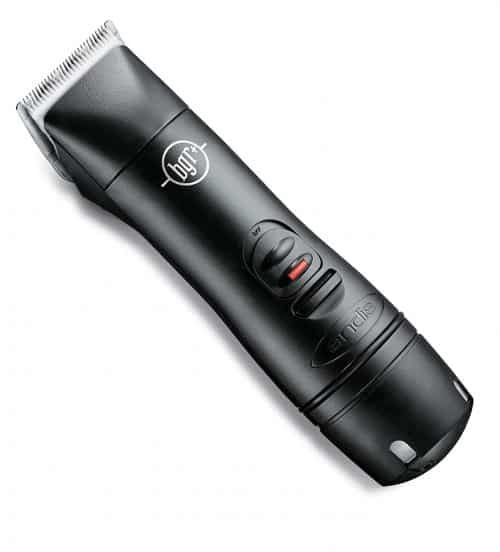 It features a lightweight design and a soft touch grip which makes handling this clipper easy. It also includes a variety of other useful accessories such as a neck duster, spray bottle, 12 guide combs from 1/8 to 1-inch long, brushes, a mirror, hair clips, scissors, oil, etc. The touch-up trimmer together with the ear/eyebrow trim guides are able to give you a clean edge whenever you need some detailing along the neckline and around the ears. The personal trimmer has two interchangeable heads. 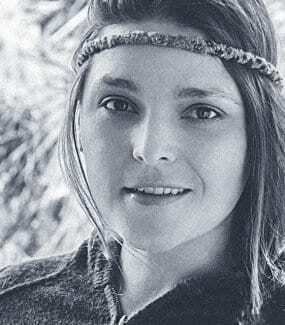 One that can rotate best for trimming hair in the nose and ears, and a reciprocating head best for shaping eyebrows without pulling or nicking, making it safe for beginners. The kit includes a protective cap and a “how-to” guide with all the information about using and caring for the clipper. When you are done with the clipping and trimming, the premium storage box will keep all your items in good shape. The trimmers run on "AA" batteries (sold separately). The Remington Beardsman Boss is a cordless clipper that comes with all the features needed for a professional and clean beard cut. We found it to be fast, light, and not too noisy on the job with a battery that lasted several hours. The motor inside this clipper is a bit bigger than standard NiMH rechargeable systems which mean more power and torque. After picking the correct length setting, it’s just a matter of running the machine through the hair multiple times. The popup trimmer also works great for trimming a mustache and other areas where it’s harder to reach. This clipper arrives with 3 combs, a built-in length setting with 18 options, and a long charging cord. The indicator light shows green when charging and it goes out when it’s done. The lithium battery in the Remington Beardsman runs precision-cut blades and a detailed trimmer which we found to be really useful for shaving beards and other small patches of hair to a precise length. 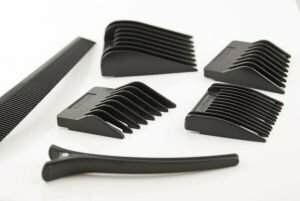 The three combs are enough to keep both a rugged beard or shorter cuts in check and the blades are easy to attach or remove with grooves that lock and snap when fitted properly. When using the Remington, start with the longest setting and work your way to the perfect length. 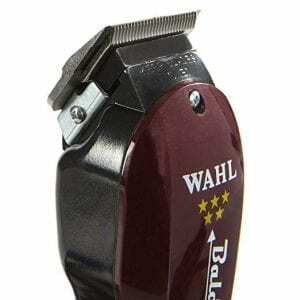 The Wahl Professional Essential Combo works really great and looks nice too. 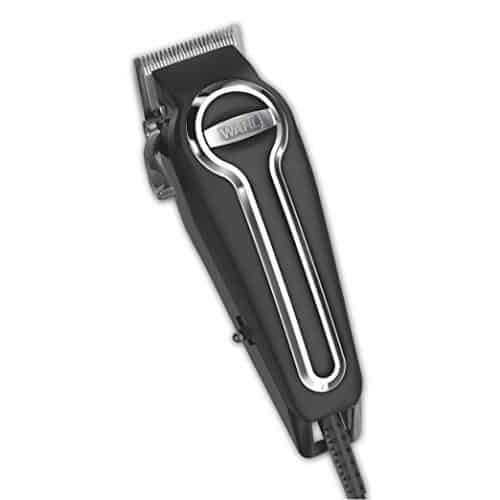 It combines the Taper 2000 clipper and an AC Trimmer in the package which allows for a wide range of styles. The two are both lightweight and designed to cut through most hair types as well as facial hair. The blades are adjustable with six different settings. 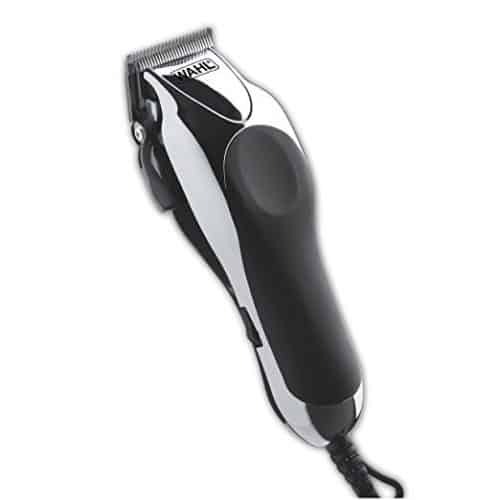 This clipper is powered by an electromagnetic motor that delivers enough power for blending, edging, fading, etc., using either the trimmer or clipper sets. 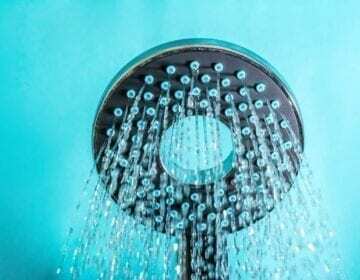 We noticed that the trimmer can get too noisy but this can be toned down by turning the big plastic screw on the machine after reading the instructions. 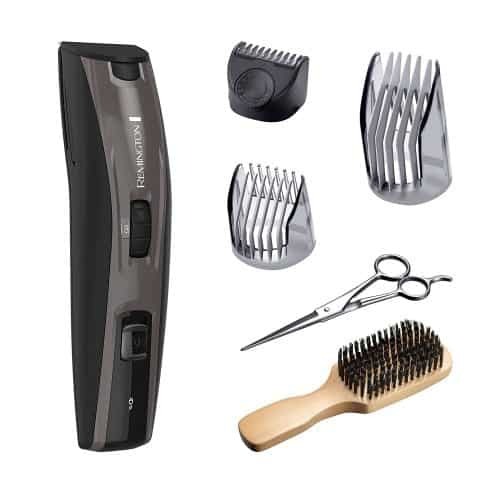 The kit includes four attachment combs for the clipper, a cleaning brush, oil, and blade guards for both the clipper and trimmer. The 8-foot chemical resistant cord ensures enough freedom of movement while clipping. Combines the Taper 2000 Clipper and an AC Trimmer in one. Are Your Clippers Not Working Properly? If you’re experiencing a problem with your clippers, we don’t suggest you try fixing it yourself. Especially if it involves opening up the clippers. Doing so can expose electrical wiring and components that could be potentially hazardous. Though we’re confident the clippers we selected as the best in class will hold up for a while, we also understand things just happen sometimes. It’s always nice to have a warranty to fall back on should your clippers need to be sent out for repairs. While most of the clippers came with some kind of warranty, some were better than others. 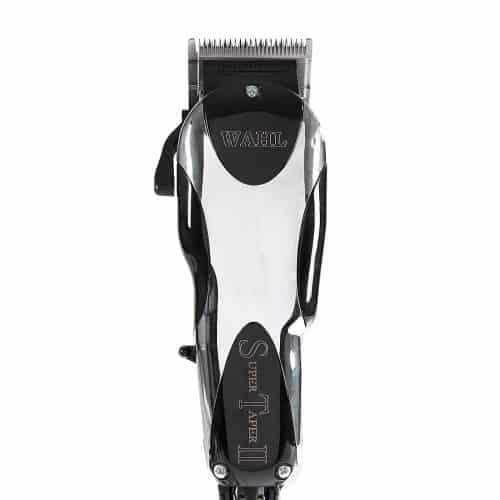 Most of the Wahl and Conair clippers featured here come with 5-year warranties. Whereas the Remington clippers only come with a 2-year warranty. Additionally, the blades that come with your clippers, or ones you purchased separately, may also be covered by a warranty. However, these are more typically for 2-years. If you plan on keeping your clippers around for a while, this is a worthwhile consideration. Here’s the truth:We tested a lot of clippers in our quest to find the best ones. But all our hard work and determination paid off! Not only did some of the participants in our testing get some incredible new hairstyles, we also found one set of clippers that were just too good for us not to recommend. We already talked about how great they are in the reviews, but here’s a quick recap for you. 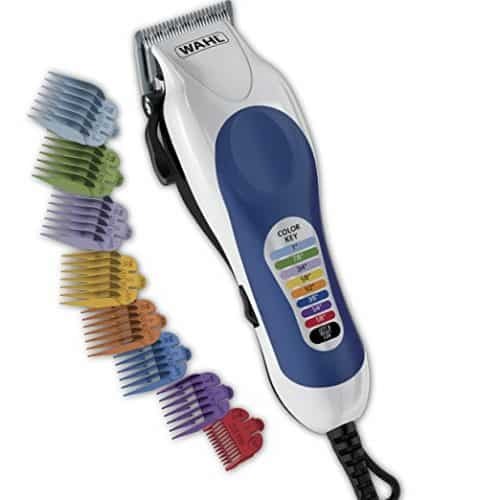 The Wahl Color Pro Complete Hair Cutting Kit is the best overall clipper in 2018. The color-coded comb guides with corresponding references on the clipper itself make setting different hair lengths very easy. 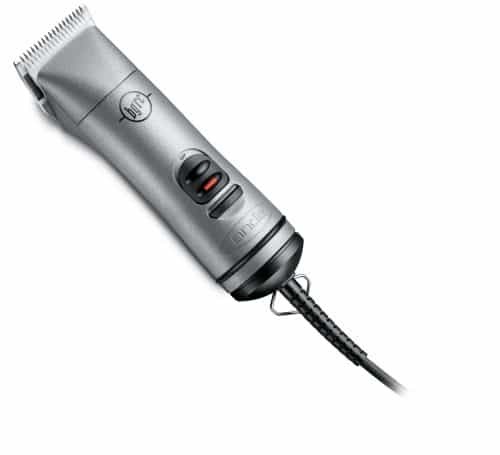 It’s powerful for pretty much all hair types with a heavy-duty motor and a textured grip. It’s cheap yet it comes with everything you need to complete a professional haircut. 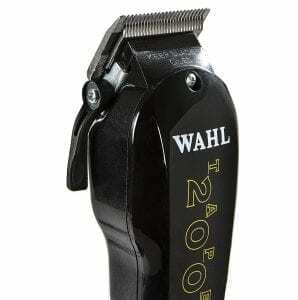 If you’re a beginner at hair clipping at home, you cannot go wrong with the Wahl Pro Kit. Are you home haircut master? Which clippers do you prefer? Tell us about your favorite set of hair clippers and share some photos of the awesome styles you’ve created with them in the comment! How often should I oil my clippers? To achieve maximum performance and lifespan from your clippers, it’s recommended you oil them after each use. Clean the blades with a hygienic spray while holding the clippers with the blades facing downwards and the machine running. Add 2-3 drops of oil across the blade on the top. Make sure the oil does not enter the motor compartment, otherwise it may ruin it. How do I best clean my blades? 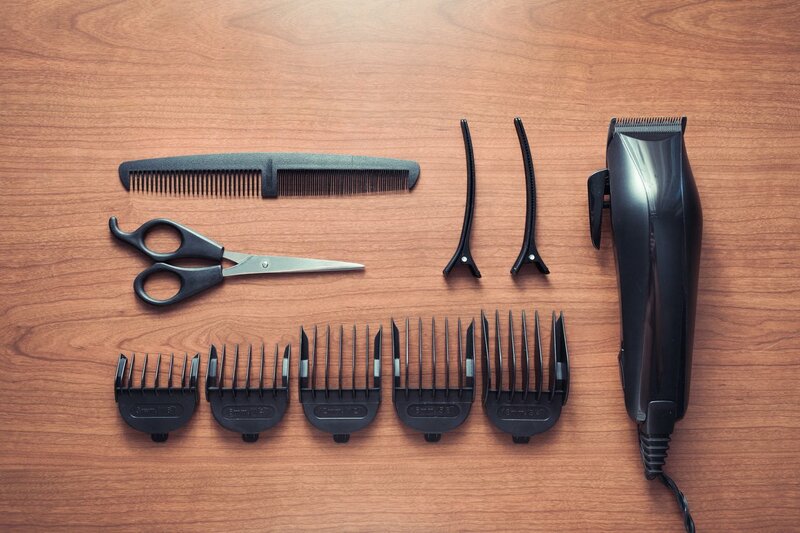 After every clip, remove the blades from the clipper and brush off any hairs and dirt. Moving the cutter from side to side using your thumbs will clean the back of the cutters. After its clean, apply oil along the blades and store them well. Never use water or other liquids to clean your clippers since this may lead to rust or damage your blades. Do I need to clean my pet before clipping? To ensure the blades glide through your pet’s fur easily, it is advisable to thoroughly clean and brush your pet. Why do my clippers overheat and stop cutting? Most professional clippers with a high torque motor installed tend to generate some amount of heat naturally. This is because clippers have rather high cutting speeds, with some going up to 4500 strokes per minute. To avoid jamming, ensure you oil your blades regularly and you stop often during clipping to brush off any hair or fur. Any piece of debris such as fur, hair, or mud can cause the clippers to jam and affect performance. This will cause extra friction and hence overheat. Some clipper coolants also come as lubricants, blade cleaners, disinfectants, and rust preventers. How do I best store my clippers? After clipping, remove the blades, brushing off any hair stuck on the machine and oil the blades lightly. Never use water on your clippers. You can then store the clippers in a protective box, preferably wrapped in a greaseproof paper. What’s the difference between a clipper and a trimmer? Clippers generally have bigger and more powerful motors with the option to select more blades, combs, and other accessories. Trimmers are used for smaller areas such as ears, faces, chests, and for whiskers. Trimmers make it easy to complete a professional look.